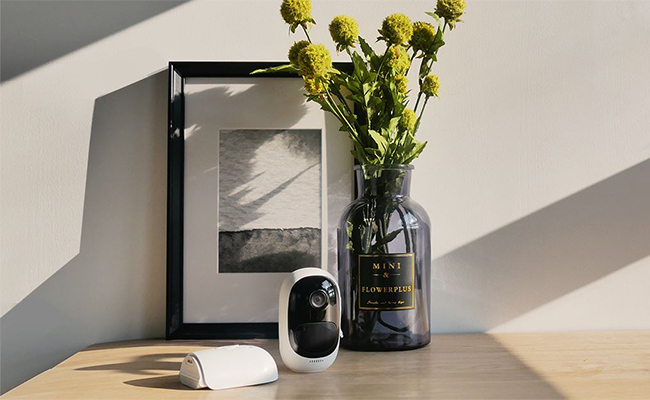 2MP CCTV cameras, also called 1080p security cameras, are still one of the most popular choices for home monitoring these days, even though they do face some harsh competitors like the 3MP. 4MP, and 4K security cameras. And that’s because 2MP CCTV cameras are still good for car plate and face recognition (in certain distance range) and they are much more bandwidth friendly and affordable than 4K cameras today. But how far exactly could the 2MP CCTV camera kit record in order to read the license plate or label on the box? How about those 2MP HD CCTV cameras with zoom? Are they any better in making out the details? Or you may still can’t make a decision between 2MP CCTV cameras and 3MP, 4MP, 5MP and 4K ones yet. Indeed, do you gain anything with higher resolution cameras? How about the 2MP CCTV camera bandwidth consumption? Now let’s get straight to the point about all the essentials you will care about the 2MP CCTV cameras and help you pick out the best 2MP or 4MP/5MP camera solution. What is a 2MP CCTV camera? Is 2MP equal to 1080p? A 2MP CCTV camera has a resolution of 1920*1080 with approximately 2 million pixels – that’s why it is shortened for 2MP security cameras in the industry. And currently, the 2MP CCTV cameras are the best you can find in battery powered security camera world because they are much more battery saving in video recording and transmission. Some quality battery powered 2MP CCTV cameras, like Reolink Argus 2, can record for months per charge with quality videos to identify important details like car plate and human faces if you install it properly within certain distance. See the video below captured by the 2MP CCTV camera Argus 2, shared by a Reolink user. Just as what I said earlier, the 2MP CCTV camera can record license plate and faces. The only question is how far the 2MP security camera can see with the details you want, namely the 2MP CCTV camera range. In fact, the answer has much to do with the 2MP CCTV camera’s lens. 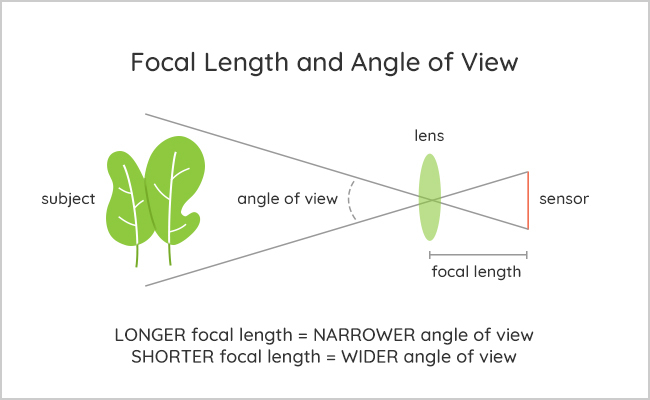 To be more specific, the focal length and the viewing angle. For example, the Reolink 2MP CCTV cameras with fixed lens of 3.26 mm focal length and 130 degree wide viewing angle allows you to read a license plate clearly in no more than 13 feet according to our test (and it could vary a little bit in your situation). So you may have to keep the 2MP CCTV cameras close to the object in order to capture the license plate of cars passing by or parked out front. If you’d like to see the persons’ license plates and face in longer distance like 30-40 feet away, then get higher resolution camera with a longer focal length and narrower long range view. Some 5MP/2MP CCTV cameras have zoom lens, meaning you can zoom in to see the far-away plate number and human face by adjusting the focal length and viewing angle manually. For example, the Reolink RLC-423 has an adjustable focal length between 2.8mm to 12mm. So if you optically zoom in via the Reolink app, the camera can read the license plate like 40 feet away. And if you want to see the complete picture, just zoom out and that’s it. 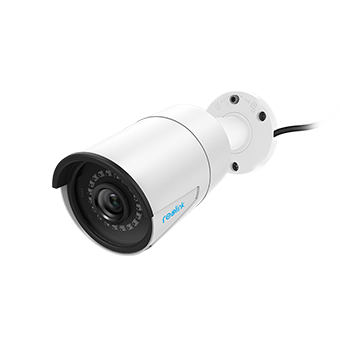 The 2MP CCTV camera optical zoom function is only adjustable before recording, meaning that you may not be able to optically zoom in to the details during the footage review, and you can only do it in recording or live view. The 2MP CCTV cameras can make out fine details such as license plates – but from a relatively limited distance, say within 13 feet away. So plan the installation spot for your 2MP HD CCTV camera carefully to make sure it captures what you need. Actually, the 1080p or 2MP CCTV cameras are more commonly used for general-purpose video surveillance. If your priority is to identify the license plate, human faces or the label on the box clearly from a distance, the higher resolution camera with optical zoom function like Reolink RLC-423 will do a better job than the 2MP CCTV cameras with fixed focal length. Recording 1080p — 2MP CCTV camera VS 3MP camera. Do I gain anything with 3MP camera? Simply put, you gain a 50% resolution increase. And below is a more comprehensive chart comparing the 2MP CCTV camera, 4MP security camera, 5MP security cameras and 4K ones. But what does all these resolution increase mean to you? Is there any noticeable difference? In order to give you a quick and clear view in the issue of 2MP vs 4MP vs 5MP CCTV camera, here are some video footages from real users for your reference. So which is better, 720p or 1080p or 4MP cameras? Generally speaking, the 2MP CCTV camera is enough for general purpose monitoring of the front door, backyard, or indoors, as I put it before. And the 4MP or 5MP cameras have more advantages in capturing the details at a distance. Mind that the image quality of 2MP CCTV cameras, 4MP security cameras and 5MP security cameras could vary greatly across brands. That’s because the security camera lens quality is also relevant. So make sure you buy 2MP CCTV camera from reputable brands with quality components to produce the desired clear videos, and also remember to check the 2MP IP camera demo before purchase. So how much will it cost for a quality 2MP CCTV camera today? Currently, the 2MP CCTV cameras are highly affordable and a class-leading 2MP security camera with full functions could only cost you about $100. 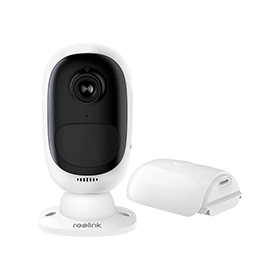 And Reolink Argus 2 is a good choice if you are keen to the 1080p security camera solution. 1080p Full HD, provides you best 2MP videos with quality sensor. 100% wire-free; easy to install; no cables and wires needed. Long-lasing rechargeable battery power per charge (up to 6 months). Support solar power; worry-free, energy saving & eco-friendly. Starlight night vision offers clearer nighttime video ever. 2-way audio allows you to listen in and talk back. Note that the 2MP CCTV camera price could vary greatly between the battery powered types and non-battery powered ones. If you are not really into the idea of battery powered 2MP CCTV cameras, you may take a look at the traditional 4MP and 5MP cameras with even less cost (under $60). One of the biggest benefits of 2MP CCTV camera is that it is more bandwidth friendly. That’s why the Reolink 4 channel wireless security camera system RLK4-210WB4 comes with 4 quality 2MP CCTV cameras instead of higher resolution ones. But you may still wonder how much bandwidth is required for 1080p security cameras, and how many 2MP CCTV cameras you may use in the home network without slowing it down. Well, as a rough rule of thumb, the 2MP CCTV camera uses 500Kb/s to 5Mb/s, depending on the frame rate, compression levels, video compression technology, and the scene activity. To get an accurate answer, you may check the 2MP CCTV camera bandwidth calculator. So the 2MP CCTV camera kit might slow down your network a bit, but the impact is not as much as you may think. For example, the 2MP CCTV camera Reolink Argus 2 uses 1.5 Mbps when recording at 1080p resolution and 160Kbps when recording at 720p resolution, according to the formula above. In fact, the 2MP CCTV camera, 4MP security cameras, even 5MP security cameras (whether wired or wireless) will NOT slow down your Internet if you are not accessing the cameras via phone, PC or other devices – the impact is so small that could be ignored. Click here to discover more pro tips to reduce your 2MP CCTV camera bandwidth consumption. This entry was posted in Buyer's Guide and tagged 2mp cctv camera.